Are you worry about carrying cash while traveling in Iran? DON'T BE! As you may know, after political sanctions against Iran, using international credit cards are not possible in Iran. Apochi.com offers Iranian debit bank cards for travelers who are coming to Iran. - Exchange rate based on the central bank of Iran. Iranian Tourist Card is available for foreign travelers in Iran. It is a card in Iranian Rial which is issued for tourists against foreign currencies received from them with the designated expiry date (3 years after issuing date) and it can be used in whole Iranian banking system. It will secure your money while you are visiting Iran. Tourist Payment Card is a rechargeable debit card that allows its holder to withdraw cash from ATMs and pay for all goods and services while traveling to Iran. Holders can determine the balance value of the cards which retain unused balance and can be accessed by the holder at any time. There is no transaction fee for a purchase and no ATM fee for withdrawal. Balance available up to 5000$. A Tourist Payment Card is given to travelers with exclusive passwords (PIN). There are two passwords for each card. The first password is to be used when the card is used to buy by PoS and the second password is used for internet buying. Both passwords can be changed by the holder of the card. A Tourist Card will be delivered to you at your first location (Hotel) in Iran. If you need more money, you can always step in our support office in Tehran; #1, Bucharest Tower, Bucharest St., Tehran, Iran or you can call us +98-21-88106700. Here we accept all major credit cards including Mastercard, Visa, AMEX or the Western Union and even Bitcoin. Cash can be withdrawn in all ATMs. Cards can be used to buy through the internet, their passwords can be changed and funds can be transferred from Tourist Card to other cards. The remaining cash in Tourist Payment Cards can be converted to foreign currencies and paid to travelers. The limit of charging these cards is 50$ and the max amount is 5000$. Customers can be informed about the remaining balance of Tourist Cards through a website, all ATMs throughout the country and all POS systems. 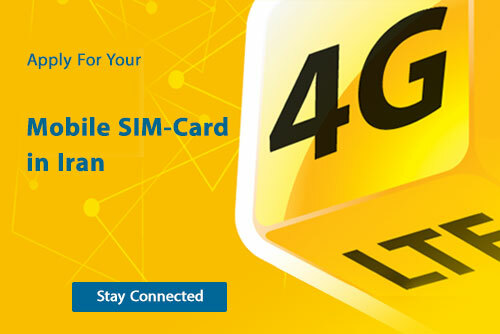 You can get transaction notification on your Iranian Tourist Sim-Card. Customers can take billing statements and be informed about the breakdown of their Tourist Card transactions in all ATMs. It will be prepared up to 4 working days and the scan of your passport is required. We accept all major credit/debit cards. Master, Visa, and AMEX, Western Union (WU) and even Bitcoin. Call, SMS & the Internet connection in Iran. 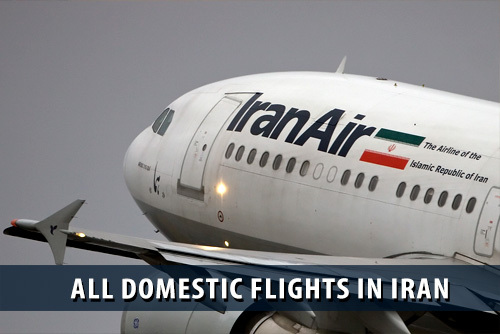 Online Booking For Airlines in Iran Including Mahan Air, Caspian, Zagros, Taban - Save 25%.